Abraham was too old to have a child, yet God called him to be the father of all nations. Samson was a violent and arrogant man, but even with that, God gave him supernatural strength through the power of the Holy Spirit. Moses was a coward and had a speech problem, but God used him to fulfill His purposes by freeing the people of Israel from the corrupt rule of Egypt and by leading them to the Promised Land. Peter betrayed Jesus, yet he became an anointed apostle of the church who did mighty miracles and preached powerfully in public. 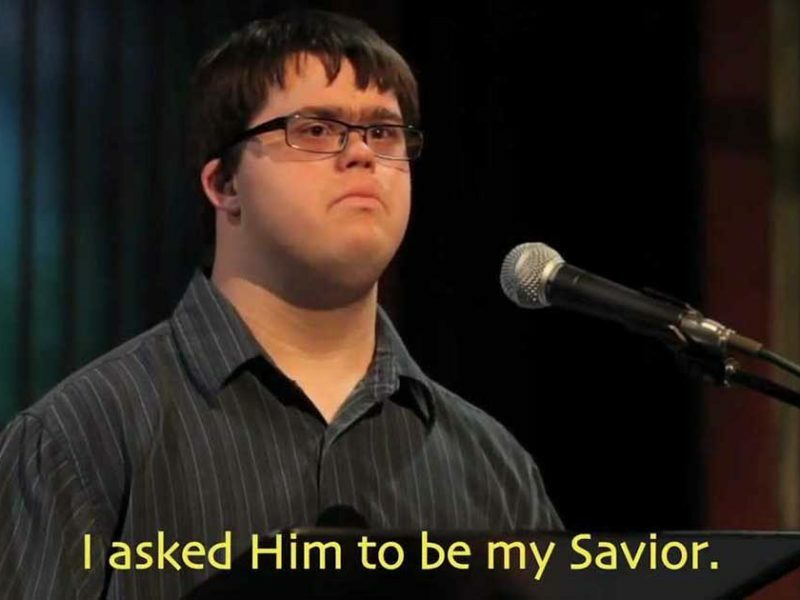 And now, in today’s time, we will hear another man who is used by God mightily despite him having a down syndrome. Ryan Pittman may be a man born with Down syndrome, but it doesn’t make him lesser proficient that the rest of us. His disorder doesn’t hinder him to testify the works of God in his life and minister to a lot of people. We are made differently by God, but we are all the same. We are all His children whom He loves so much. And that’s what makes us all equal. So if God uses Ryan, so will you!